Oh yeah. A good breakfast should consist of a healthy amount of protein. Meat Meet Controfiletto ai ferri: US Striploin (done here medium rare), at LaBrezza of the St Regis Singapore. 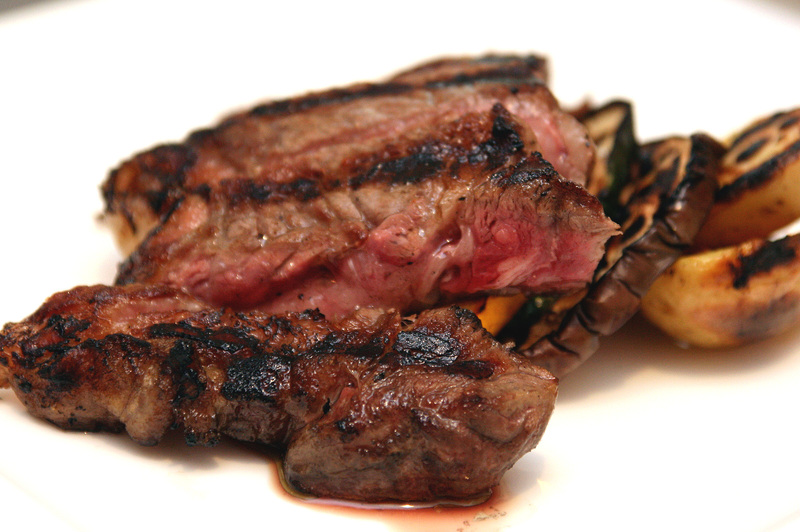 This is part of the grill selection of the Prosecco Brunch happening every Saturday and Sunday noon to 3pm. 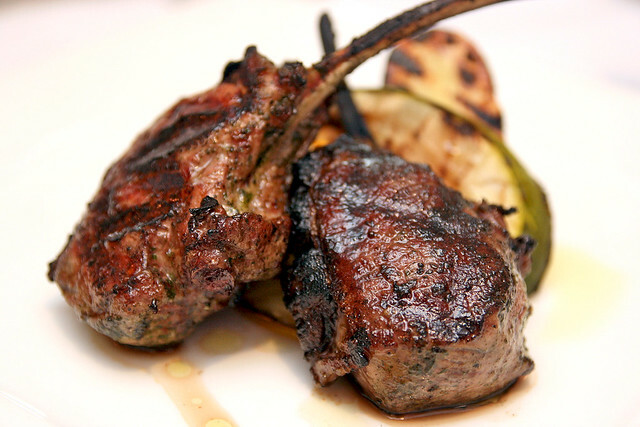 Or how about some Scottadito: Grilled Australian Lamb Chop, lemon-mint marinade & roasted potatoes? This was pretty good. I only wish they could grill the vegetables better - some of them were a little too charred. Of course, fish is also good for you. 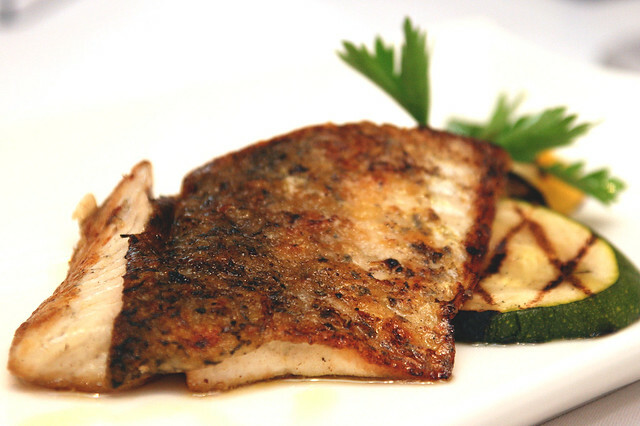 When seared just right, good fish can be so tasty. This is Spigola con broccoli e crema di patate: Seabass with broccoli, cream of potato. Comes with three sauces which really change the flavour of the fish. Some people prefer prawns. These were fresh, for sure, but a little too dry. But wait, I'm getting my sequence of dishes all wrong. Secondi, primo...Let's go back to the beginning. Which is really the best part, honestly. 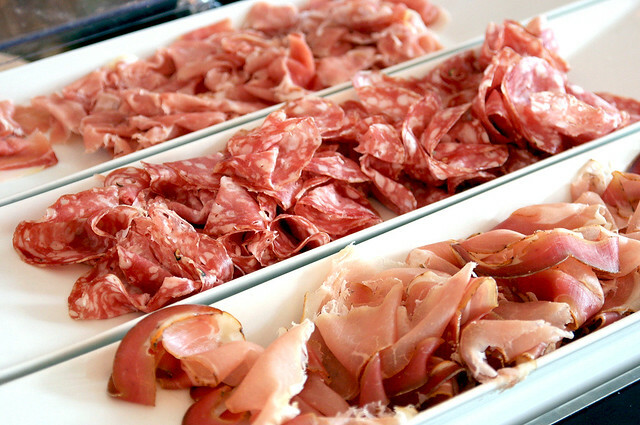 Glorious cold cuts: Salami sandwiched in between 12-month & 24-month Prosciutto di Parma. Oh, come to mamma! 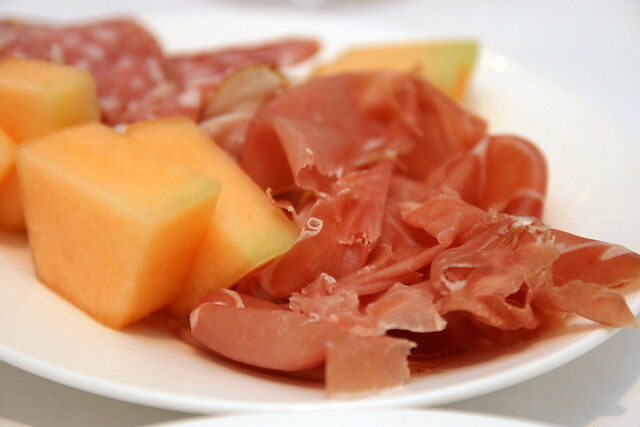 A fabulous antipasti and salad spread. The absolute highlight were the extra plump and sweet Pachino cherry tomatoes (yeah, them super-bright red ones on the upper right). Yes, how I savoured those, and I don't even like tomatoes. Lots of breads to go with the ham, or whatever you fancy. The rustic display is so pretty. 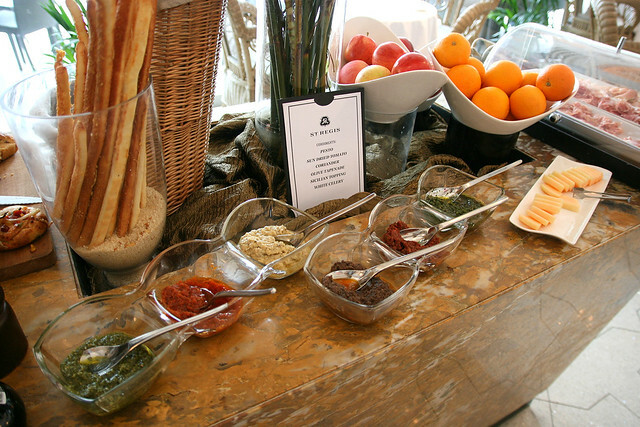 Lovely condiments to go with your breads - pesto, sun-dried tomato, coriander, olive tapenade, Sicilian topping, and white celery. 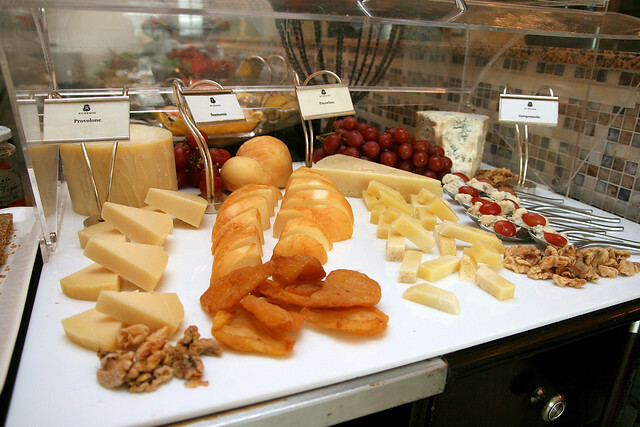 The cheese section offers Provolone, Scarmoza, Pecorino and Gorgonzola. It's small but somewhat adequate. 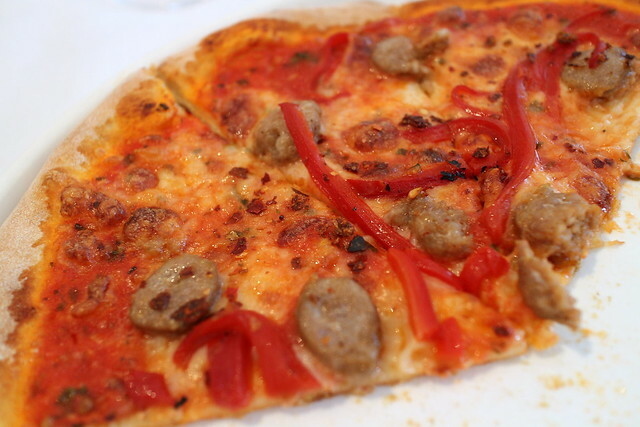 Forgive me, I should show you what La Brezza looks like. 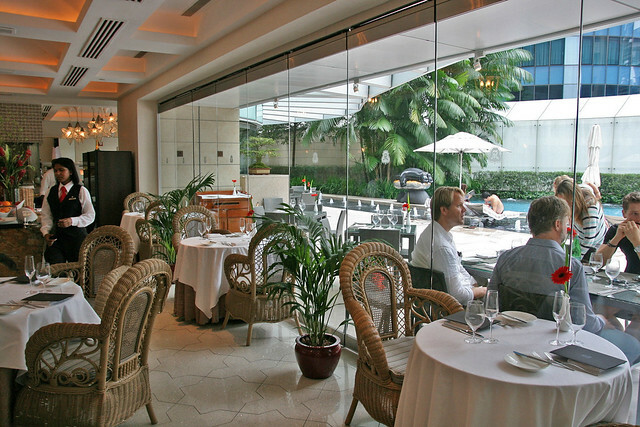 It's the trattoria-style Italian restaurant on Level 2 of the very regal St Regis. But the atmosphere here is comfortably casual and very relaxing. The place looks out to the hotel pool on one side. So there's a tranquil holiday-like vibe, with lots of natural sunlight. You could choose to sit outside too, if you like the warm weather. This sublime creation - a cloud-like egg spiked with cheese and truffle extravagance. Wow. I think we had seconds and thirds. You wish this was as common as scrambled eggs. This brunch was also my first serious opportunity to shoot food with the Canon EOS M, which the kind folks from Canon lent me to play with. I really like the handy size of the camera, the sleek metal body and interchangeable lenses. The photos are not bad too. Best in brighter lighting or sunlit situations. 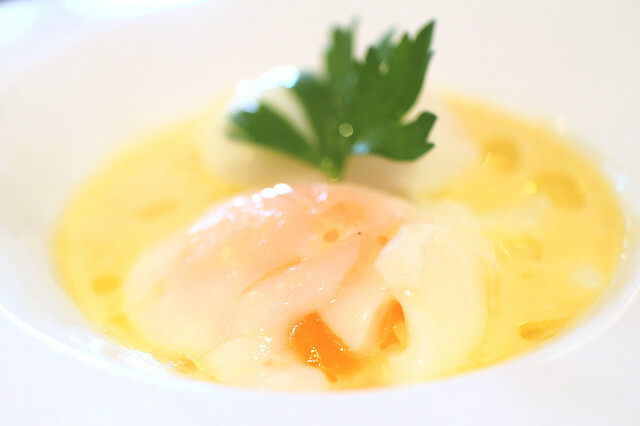 This uovo was shot with the EOS M.
Several varieties of pizza are also available (taken with Canon EOS M). But these will threaten to fill you up too quickly. Did I forget to mention free-flow Prosecco? 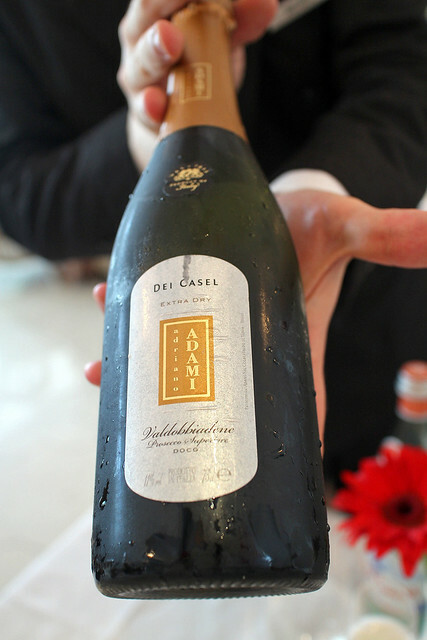 Yes, unlimited Prosecco D.O.C Ca’del Sette at S$98++ per person. 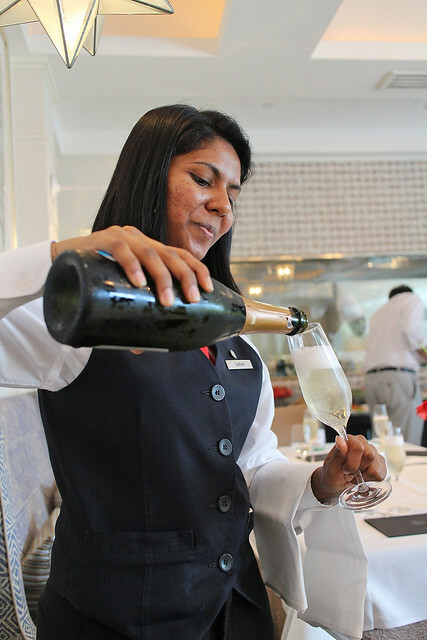 There is, of course, an option without alcohol at S$68++ per person (a really good deal). Photo also taken with Canon EOS M.
It might also be the Adami Extra Dry Prosecco Superiore di Valdobbiadene D.O.C.G. "Dei Casel" (taken with Canon EOS M). If you'd like a bite of pasta with the prosecco, you'll be glad to know that the portions here are just enough, and not too filling. The pasta is also handmade. 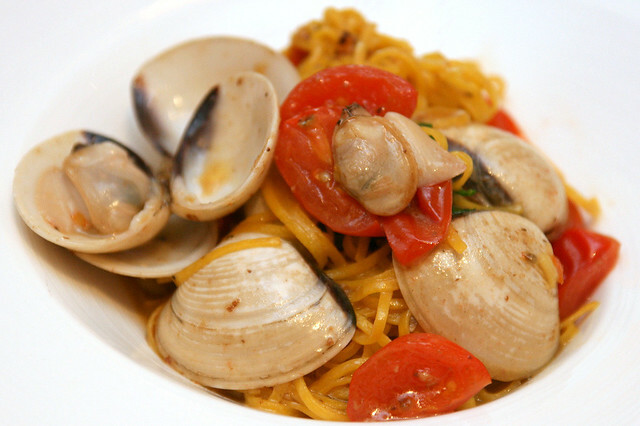 I loved the vongole pasta. We had second helpings. Lovely texture of noodles with that umami hit from the clams. 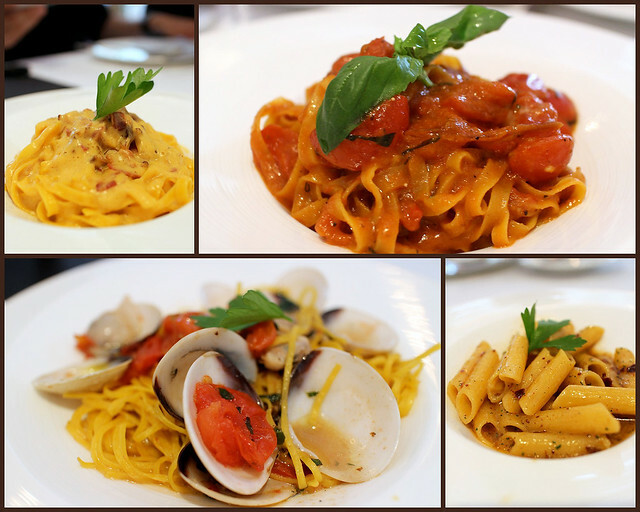 They also have other types - carbonara, pomodoro and aglio olio - for you to choose from. All these photos are taken with the Canon EOS M, whereas the vongole one above is with my usual Canon 400D DSLR. 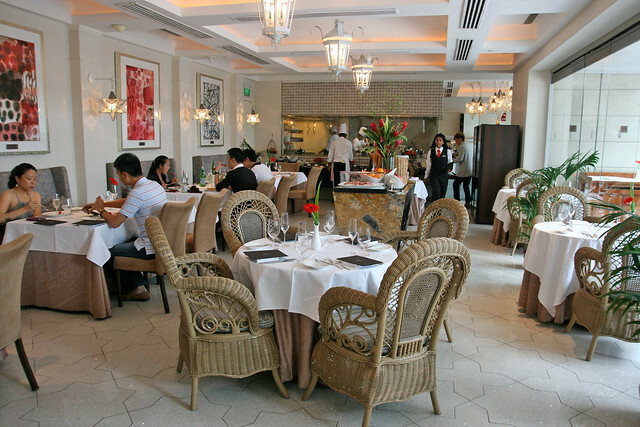 Then you have your main courses, such as the dishes shown upfront. 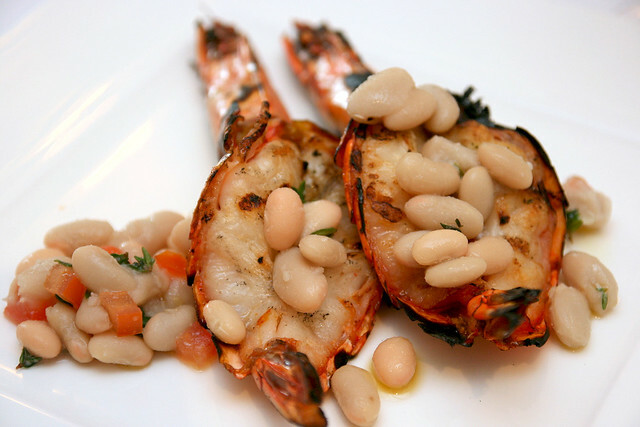 Lots of meat-based dishes, as you can see, but here's something more carb-based. 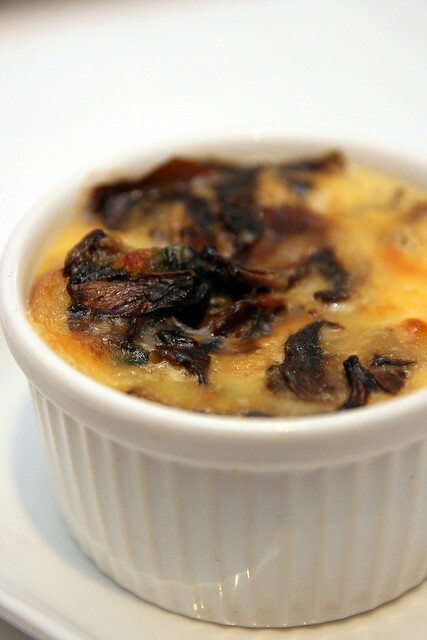 Strata Umbria: Savoury bread pudding with spinach & mushroom. Tastes very much like quiche. You also won't be short of options for dessert. I didn't try all but liked these two. 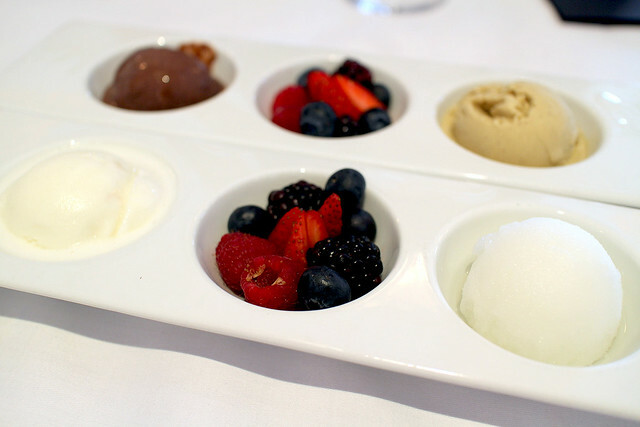 Scoops of gelato with fresh fruit - chocolate, pistachio, vanilla and lemon. There is also a Zabaglione (Marsala Sabayon with fresh fruit), and a Pistachio Cannoli with candied lemon. If you still have room, that is. 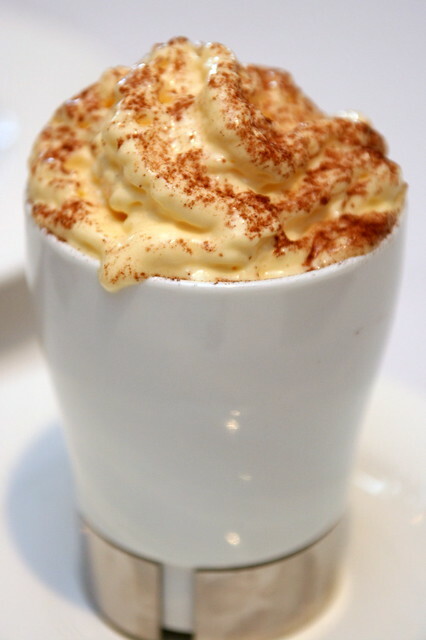 Finish off with one of their excellent Italian coffees. And count that as a weekend afternoon well spent. 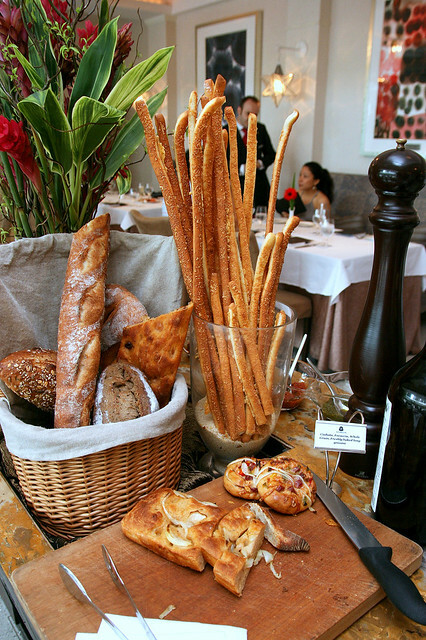 Once again, LaBrezza’s Prosecco Brunch is available Saturdays and Sundays from noon till 3pm. Thank you, St Regis Singapore for the warm hospitality and invitation. 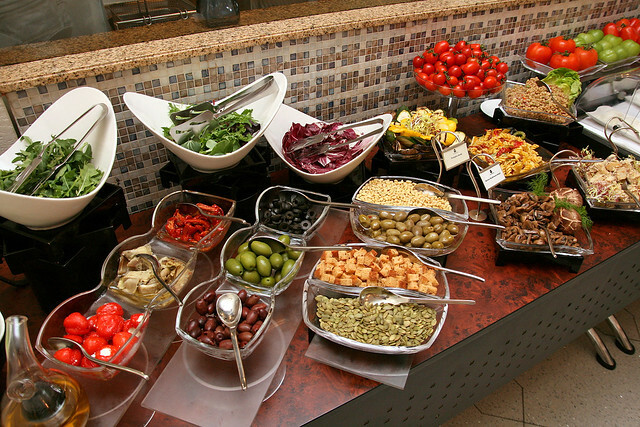 The buffet spread looks good..yummy.